With an unique way of reinterpreting old pieces of furniture, Irina Neacsu is one truly talented Romanian designer. If you have ever seen one of her furniture pieces, you will recognize her style anywhere. Irina loves chairs! A lot! Especially old ones. She loves the details, the wood, the style & the story of every chair she ever collected. And like any old style lover, she wanted to give them a second life, in a modern “outfit” let’s say. The story of her brand began with chairs, but the story behind every piece of “thecraftlab” (founded in 2010) is Irina’s talent as an architect and an interior designer. With passion for reconditioning pieces of furniture, she gave life & personality to an old chair, making it a statement piece in a modern décor. Now, the old chair with its old story has a new face and a new story to tell. thecraftlab by Irina Neacsu is the only Romanian design brand who participated in the winter edition of the famous international fair – Maison & Objet (Paris, January 23-27), this year being its third participation of this kind. In Paris, Irina launched the collection called SKY. The new SKY collection, inspired by the designer’s voyages and experiences under the open sky, represents the development of a new direction in the creation of thecraftlab: the home & decorating items are now being personalized with digital prints of Irina’s paintings. 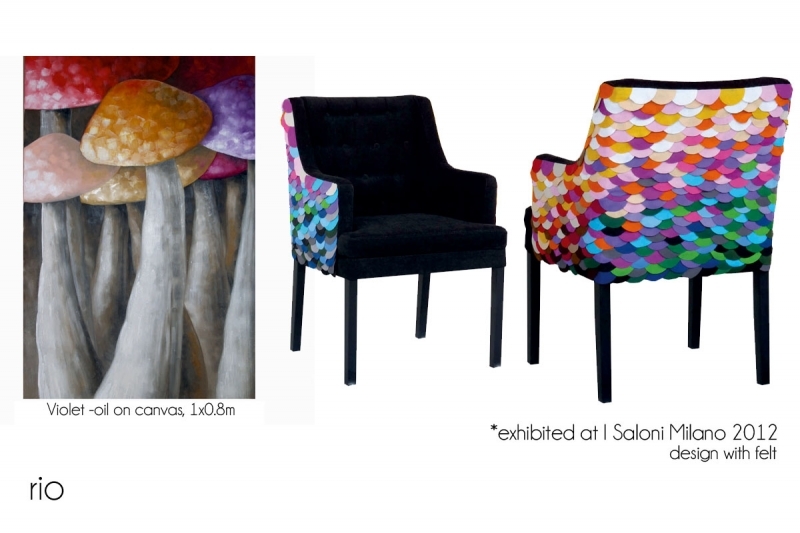 Woman, interior designer, architect, nature & chair lover :), deco artist and painter… in 2 words, Irina Neacsu.